Flip a coin. If heads, this does 40 more damage. Flip a coin. 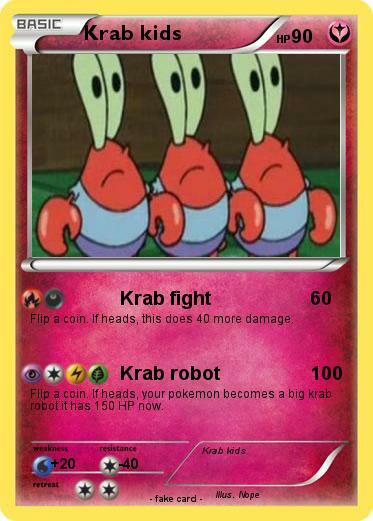 If heads, your pokemon becomes a big krab robot it has 150 HP now.